I just got this great knife set from Elegana. This is a really nice set of knives. They are white mirror finish knives that are super sharp! 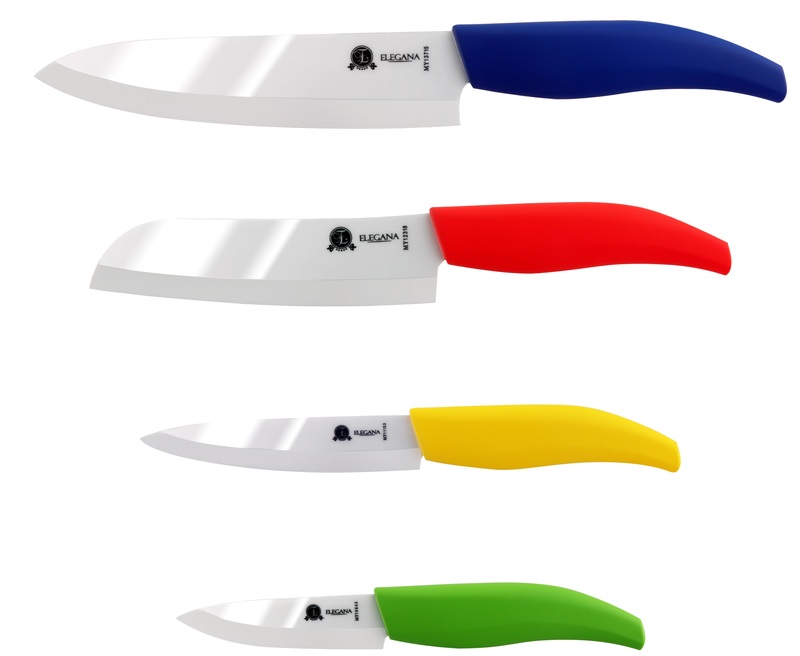 I have used these for all of my kitchen needs and cut just about everything with them (fruit, veggies, meat, poultry, seafood, and more). The handles are really easy to hold and comfortable. This is a 10 piece set, you get four different sized knives (I love this because you have a knife no matter what the task is), you get a protective sheath for each knife (I live this because it protects the blades from damage when I’m not using them plus I don’t cut my hand when I’m looking for them in the drawer, you get a vegetable peeler (it’s also very high quality), and a cleaning cloth. Everything comes in a very nice gift box that makes it a perfect gift for weddings, house warming, engagements, and more. #1 QUALITY CERAMICS: – Up to 2x sharper than steel – Guarantees a tougher and more durable blade! Make ultra-thin slicing, dicing and gliding through food effortlessly. ELEGANT & STYLISH: Expertly crafted blade polished to a remarkable shinny mirror finish. Add a touch of classiness and finesse in your kitchen with these elegant premium set. SAFE: Germ resistant, BPA free, nonporous, odour free blades and NEVER rust! Stores safely in beautifully made protective blade covers. VALUE: 10 piece knife set includes 4 white mirror finish Knives, 1 multi-purpose ceramic peeler, color-coded protective sheaths, polishing microfiber cleaning cloth and premium gift box. GIFT READY: Elegana provides perfect gift ideas. We stand behind our knives with a 100% SATISFACTION!